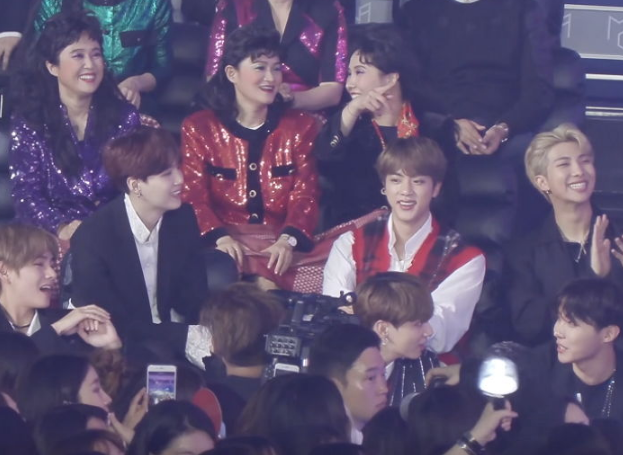 BTS' Jungkook�didn't know about Han Hye Jin and Jun Hyun Moo's relationship. 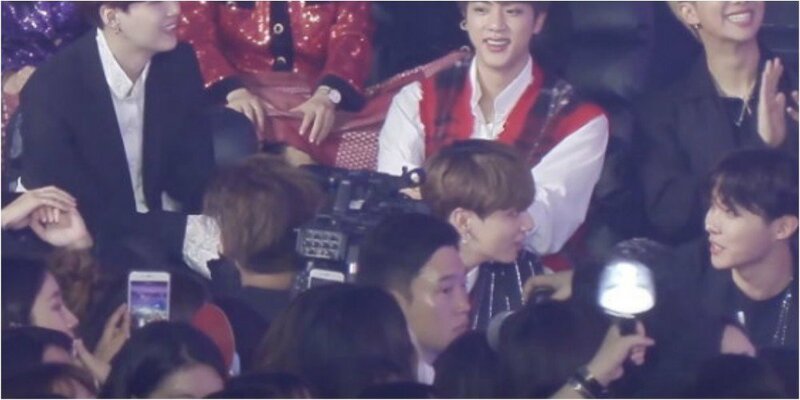 As the audience continued to laugh and cheer for the couple, Jungkook turned to j-hope to understand the situation. He's captured mouthing,�"Why? Are they dating?" 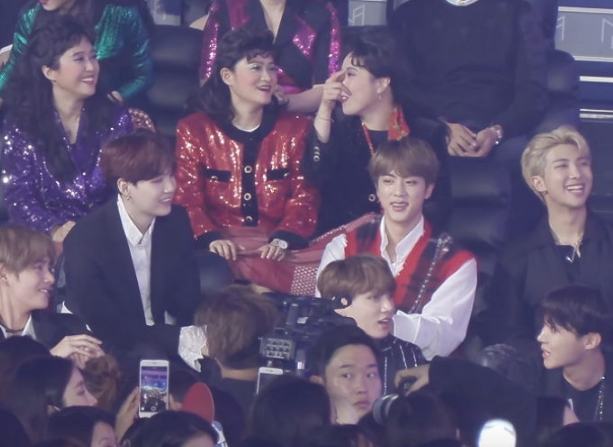 j-hope is seen replying, "Yeah, the two are really dating." 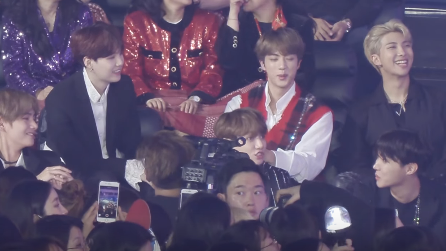 Jungkook nods his head, and said, "Ohh, really??" 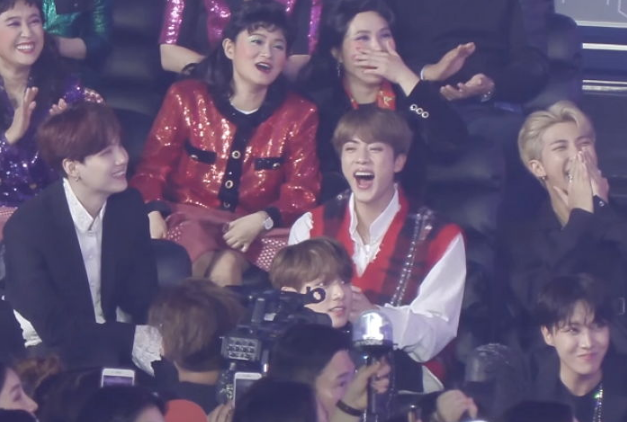 Netizens are cracking up at Jungkook's reaction, and commented, "LOL Jungkook the only one who didn't know about them dating," "He must be too busy for the internet," "Lol he's so cute." lol, he is so behind gossip news.